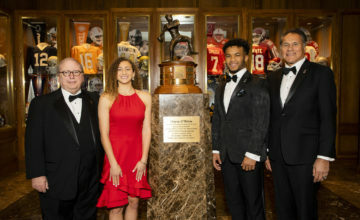 FORT WORTH, Texas (Nov. 13, 2017) – Three perennial honorees that have combined for 14 Great 8 awards this season are among the Davey O’Brien Award’s top quarterbacks for week 11. 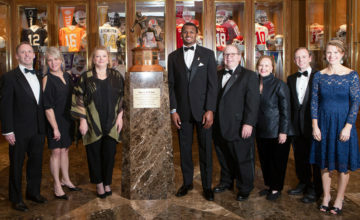 The eight honorees, as determined by voting from the award’s selection subcommittee, are: Lamar Jackson of Louisville, Buffalo’s Tyree Jackson, Baker Mayfield of Oklahoma, Oklahoma State’s Mason Rudolph, Brett Rypien of Boise State, Texas A&M’s Nick Starkel, Jarrett Stidham of Auburn and Wake Forest’s John Wolford. Fifty-nine different quarterbacks have now earned the honor through the season’s first 11 weeks. Mayfield has been named to the Great 8 four consecutive weeks and increased his nation-leading total to six this year. Rudolph and Lamar Jackson, who each have been honored four times, rank tied for second in the country. 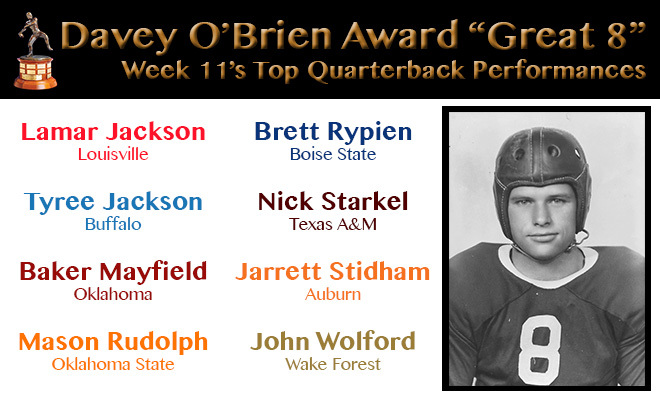 All 130 FBS quarterbacks are eligible for the weekly honor. 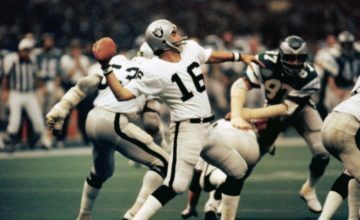 The winner of the Davey O’Brien National Quarterback of the Week Award, which will be one of the week’s “Great 8” quarterbacks, will be announced Tuesday.